Jason Watson has set his sights on reaching 100 winners for the year after riding out his claim at Kempton on Monday evening. 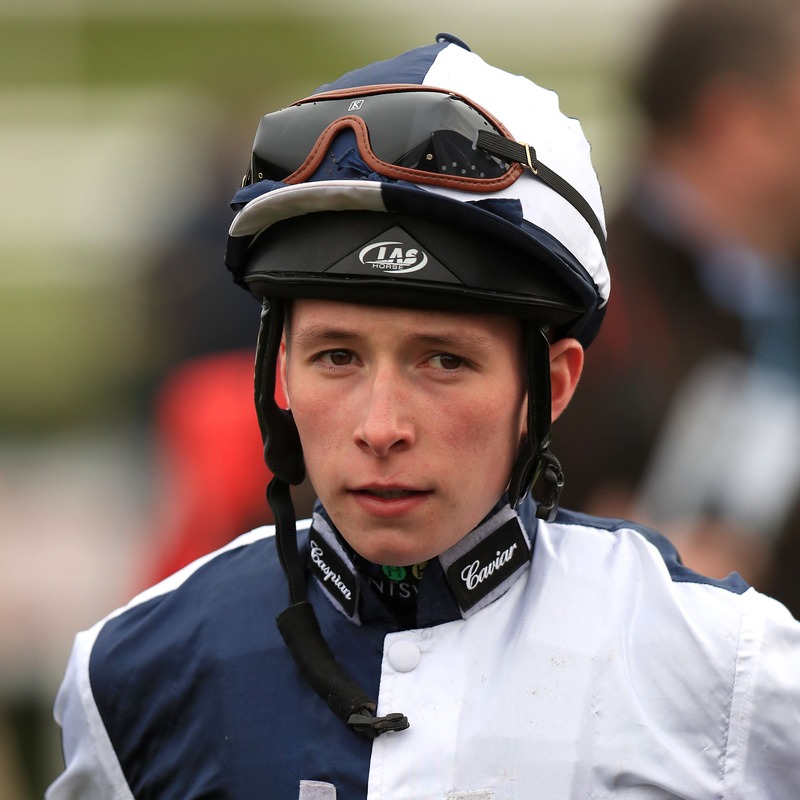 The 18-year-old is closing in on the century after riding his 95th career winner aboard Archimento, meaning he is no longer able to claim an allowance and will now ride on level terms with the likes of Frankie Dettori and Ryan Moore. Only two of Watson’s winners came last year. The rest have been racked up in a whirlwind first full campaign in 2018 that has seen him rise from rookie to champion apprentice. “It’s absolutely amazing. Back in January if you’d told me all this was going to happen – winning a Stewards’ Cup and becoming champion apprentice – I wouldn’t have believed it,” said Watson. “I just want to get as much as I can on my CV. That day at Ascot on October 20 is when Watson will officially be crowned champion apprentice. Modestly, he puts his success down to having a winning team behind him – trainer Andrew Balding, agent Tony Hind and jockey coach John Reid – plus a bit of luck and hard work. “It’s brilliant. It’s all happened so quickly, but every day you have to treat the same. You go out and do your job, ride and hopefully pick up winners,” he said. “Luck, a bit of hard work and having a great agent and a great boss has all paid off. I’ve been very lucky to get it done quickly. A glance at Watson’s statistics show just how much work and dedication has gone in to his success. He has ridden for more 120 trainers and had winners for 32 of them. “My agent has been putting in a lot of work and a lot of the people I’ve ridden for, I’ve kept riding for them,” he said. Watson’s breakthrough victory came on Gifted Master in the Stewards’ Cup at Glorious Goodwood. To win such a prestigious handicap on a Saturday that was shown live on terrestrial television brought him to the attention of racegoers, armchair viewers and the racing world as a whole. “It was very important to get a winner like that under my belt at such an early stage of my career,” he said. Jockeys are always battling against the scales, but Watson is happy with his weight these days. “My weight is fine. It’s never been easy. Even though I’m not very tall I’ve got quite a broad build about me,” he said. He insists he will not change anything just because he has to compete against experienced professional jockeys on equal terms in the future. “I’ve been riding against professionals. I’m just not claiming. That’s all it is,” he said. “It’s just that I’ve not got that 3lb to help me out any more, but I don’t see myself riding any differently really, only to try and improve. “You’ve just got to treat it the same. They are trying to do their job and I’m doing mine. I feel ready to step it up. With such ambition and his top-class support team, there is no telling how far Watson will go.